Graduates of the Portsmouth Project SEARCH program appear with representatives of the project partners. 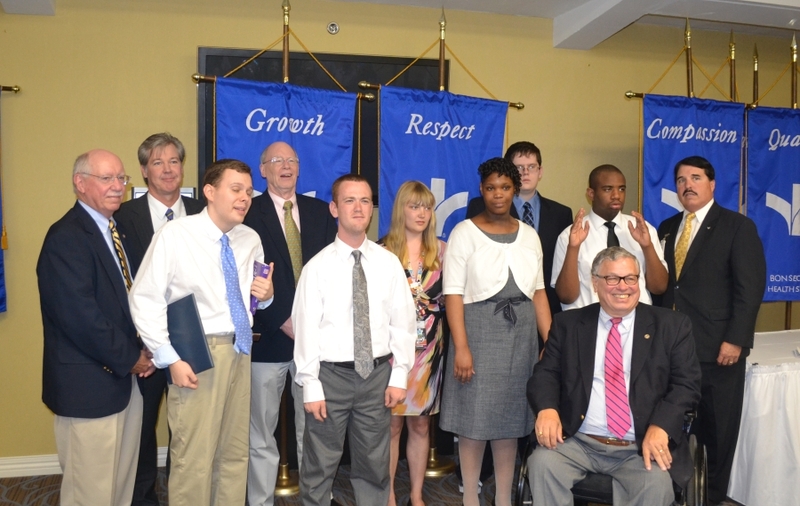 On June 6, Mayor of the City of Portsmouth, Va., Kenneth Wright, joined Didlake, Inc., the Virginia Department for Aging and Rehabilitative Services (DARS), Virginia Commonwealth University (VCU), Bon Secours Maryview Medical Center, and Southeastern Cooperative Educational Programs (SECEP) to celebrate the first class of Project SEARCH participants in Portsmouth graduating from the program. Project SEARCH seeks to help students transition successfully from school to adult life. Graduates honored at the celebration were Breon Britt, Robert Parker, Emily Smith, Jasmine Hudgins, Rodney “Jason” Bathurst, and Clayton Babiy. The Project SEARCH program at Bon Secours Maryview Medical Center brings a unique opportunity to high school seniors on the autism spectrum to gain real world experience in a healthcare setting. The program is a partnership between the hospital, DARS, SECEP, and Didlake. The school system (SECEP) provides the participants and instructors, the hospital provides the work opportunities, DARS provides funding and determines the eligibility of the students, VCU provides an on-site coordinator to manage the project and leads research aspects of the program, and Didlake provides the on-site job coaching support, and job placement and training services. The local partnership is part of the international Project SEARCH program and is one of a growing number of partnerships across the Commonwealth of Virginia.